Himachal Pradesh Corrugated Box Manufacturers Association (HPCBMA) has sought a check on the “monopoly” of paper mill owners, who were announcing frequent increases in prices. This was pushing corrugated box industry into deep crisis . “The corrugated industry is incurring huge losses due to unilateral increase in price and in case the Central government did not intervene, the industry would die its own death in coming years”, Gagan Kapoor, president of Himachal Pradesh Corrugated Box Manufacturers Association (HPCBMA), told The Tribune yesterday. The association has also sought the intervention of the Prime Minister in this regard. Kapoor alleged that the paper mills had increased rates of paper thrice this year. As a result, the 350-odd corrugated box manufacturing units located at Parwanoo, Baddi, Kala Amb, Nalagarh, Solan, Paonta Sahib, Una and Kullu are feeling the pinch as their profits have dwindled to unsustainable level. In order to protest against the arbitrary actions and coercive tactics of paper mill owners, “the joint action committee of corrugated industry of North India has decided not to accept deliveries from paper mills and planned total closure of the corrugated industry for four days in April”, he added. Thousands of Himachalis are employed in corrugated industry and in case the government does not intervene, the survival of the industry would be in peril and employees would lose their jobs, he cautioned. “The rates of the paper have gone up by Rs 4-per kg in the last three months and the corrugated box industry has been directly hit by the hike. In case the Central government did not take urgent steps to check the monopoly of the mill owners, the situation would become precarious” said Kapoor. The HPCBMA president said the Central Government had given special industrial package to Himachal in 2003 which helped corrugated industry and they are using around 50,000 mt of paper every year. However, the repeated increase in the rates of the paper has added to the problem of the industry, he said adding that after the withdrawal of Central industrial package, a large number of pharma units had migrated to other states and the business of local corrugated units had been hit hard. Expressing surprise over the silence of the Central government over the increase in the rates of paper by mills, Kapoor alleged that whenever mills had to increase the rates of paper they reduce the production and create artificial shortage of paper. The Central government had once taken action against cement manufacturers for the same reasons but it is mum on the issue of paper mills, Kapoor added and claimed that due to shrinking profits, some corrugated manufacturers have been forced to shut down. To add to their vows, the transport companies have also increased freight charges, he said and urged the Chief Minister to take notice of the problems being faced by the industry in the state. Why should we use Paper Bags? • Paper Bags are made from paper & corn both can re-grow. • Paper products help to keep land forest intact and reinvested into. 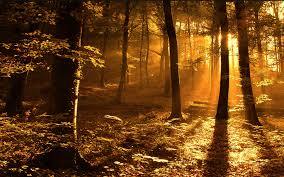 • Forestland has steadily increased in western countries to meet the demand of paper. Soon people in India will also start investing in forests. • One acre of trees will every year capture 5,880 pounds of carbon dioxide (major greenhouse gas & cause of global warming). • Trees provide the raw material and more than 65% of the energy needed to create paper. • Using Paper Bags is your commitment to environment that you are contributing to the sustainability, protecting wildlife habitat, and protecting endangered forests. • Paper Bags do not litter on land and, in a rivers, lakes, and ocean. This packaging material (Paper Bags) will decompose and pose no threat to wildlife and the environment. • Paper Bags are ideal as a container to hold compostable waste. Recyclable • Recycling is most important to achieve sustainable planet. • More than half of all paper in the India is recovered for recycling. 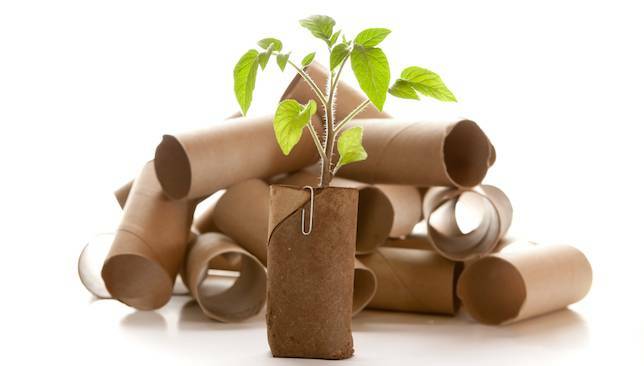 In fact Paper used for corrugated boxes or Kraft paper bags is almost 70% recycled and reused. • Paper Bags are reusable for future visits to stores..
· In fact you can earn a return (more than 25%) by selling it scrap dealer. Therefore Kraft Paper Bags and corrugated boxes are one of the most sustainable products in the world. 1. There are over 10,000 Corrugators in India. This sector mainly comprises of Small and Medium Enterprises (MSME). 2. This sector employs more than five lakh workers directly and indirectly. 3. Approx annual paper used is 45 Lakh Tonnes. 4. The Federation of Corrugated Box Manufacturers of India (FCBM) is umbrella organization of Corrugators in India. 5 . There are also zonal chapters and State wise associations of Corrugators. 6 The packaging material is one of the most significant parts of the supply chain. This corrugated box industry plays a crucial role in the industrial growth and packaging industry as a whole. · Rising input costs and failure to get suitable raise in prices. · In last 6 months there is approximately 18-20% rise in prices of kraft paper - the main raw material for the industry - by Rs 2,000-4,000 per tonne. · The Rs 15,000 crore corrugated box industry is facing facing tremendous challenges of rising input costs. · The Desired increase in prices of corrugated boxes ranges from 18-20 per cent in the northern region and by 15-16 per cent in the western and southern regions. · The paper mills had raised the price but the final consumers (buyers of corrugated boxes) are not paying heed to repeated requests of Corrugators. The corrugated packaging industry has been adequately meeting the packaging requirements of the country. It is expected that the government should intervene to resolve their problems otherwise This industry would have a drastic effect on the industry as a whole as packaging material is one of the most significant parts of the supply chain. There are over 10,000 Corrugators in India. This sector mainly comprises of Small and Medium Enterprises (MSME). This sector employs more than five lakh workers directly and indirectly. Approx annual paper used is 45 Lakh Tonnes. The Federation of Corrugated Box Manufacturers of India (FCBM) is umbrella organization of Corrugators in India. There are also zonal chapters and State wise associations of Corrugators. The packaging material is one of the most significant parts of the supply chain. This corrugated box industry plays a crucial role in the industrial growth and packaging industry as a whole. Rising input costs and failure to get suitable raise in prices. In last 6 months there is approximately 18-20% rise in prices of kraft paper - the main raw material for the industry - by Rs 2,000-4,000 per tonne. The Rs 15,000 crore corrugated box industry is facing facing tremendous challenges of rising input costs. The Desired increase in prices of corrugated boxes ranges from 18-20 per cent in the northern region and by 15-16 per cent in the western and southern regions. The paper mills had raised the price but the final consumers (buyers of corrugated boxes) are not paying heed to repeated requests of Corrugators. 10 reasons to choose corrugated box for packaging.